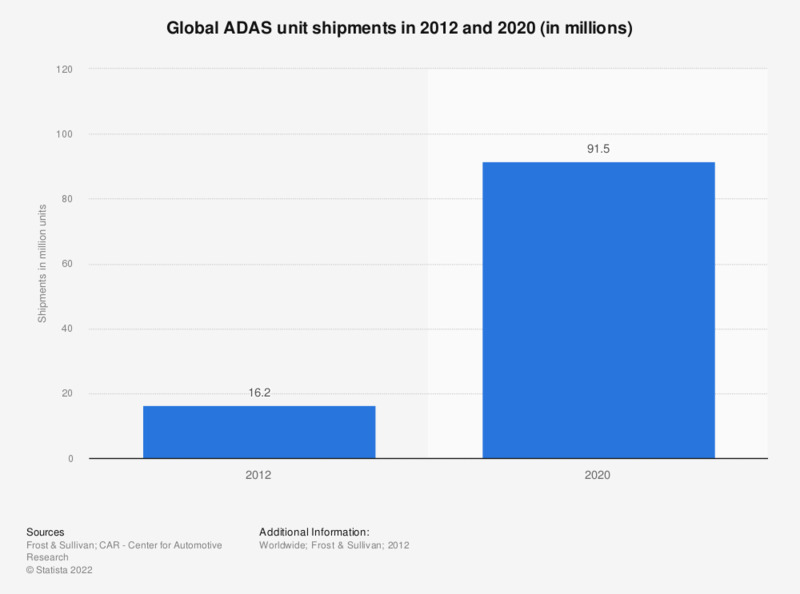 This statistic illustrates the global shipments of advanced driver assistance systems (ADAS) in cars in 2012 and 2020. Some 91.5 million ADAS units are expected to be shipped globally by 2020. Between 2012 and 2020, ADAS unit shipments are projected to grow at a compound annual growth rate of around 24 percent. The 2020 figure is a forecast.